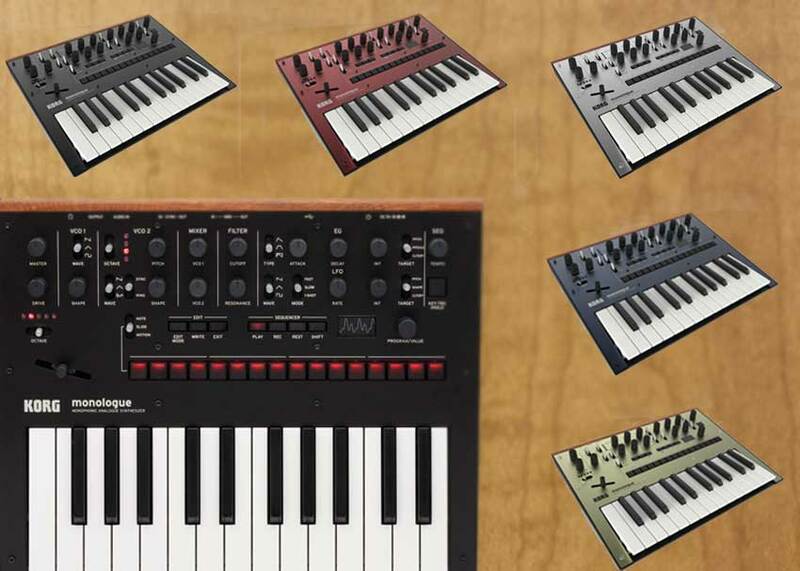 Korg just announced the new Monologue monophonic analog synthesizer today, putting countless rumors to rest. The company had teased a Nov. 1 product launch earlier on social media, but had removed the teaser graphics. 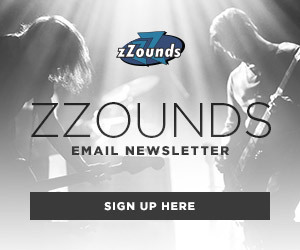 With little clues to work with, fans guessed the new product could have been anything from an ARP 2600 reissue, a mini Kronos workstation, to a guitar tuner. Well, none of those were right, so let’s focus on what was announced, instead. The Monologue is, as you may have guessed, a monophonic version of the Korg Minilogue, announced at the 2016 NAMM show. It’s fully analog with a 16-step sequencer, 2-pole filter, dedicated drive circuit, and an oscilloscope to give visual feedback. 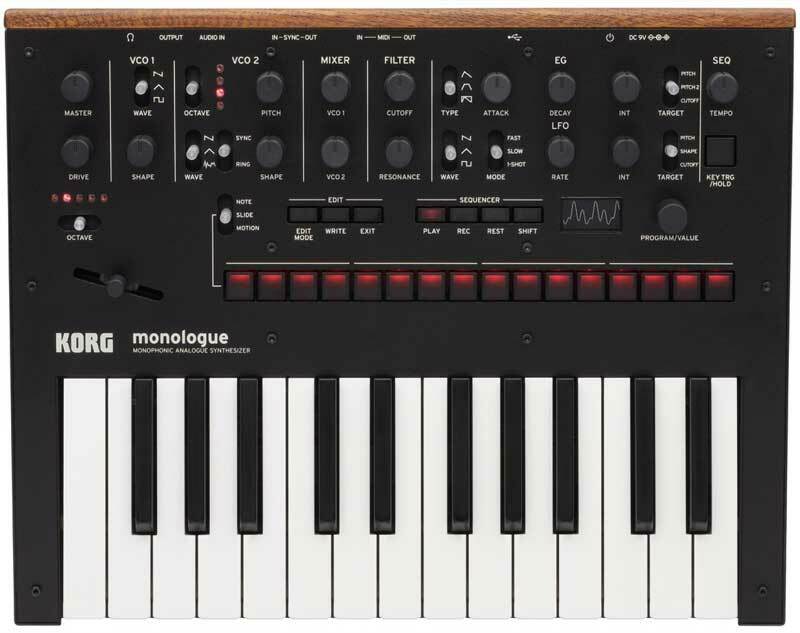 The Monologue can also be micro-tuned, a feature Korg says had input from none other than Aphex Twin himself, and one that vintage synth fans will surely love. The compact synth hosts a 25-key, E-to-E keyboard, which makes it well-suited for bass in a live band context. It can be powered with an AC adaptor or six AA batteries, and comes in not one, not two, but five colors! With the Minologue already having gained a loyal fanbase for its robust feature set and modest price, we expect the Monologue to do the same. Looking at the wood paneling accents, metal switches and oscilloscope, we expect the build quality to be right on par with its bigger brother. 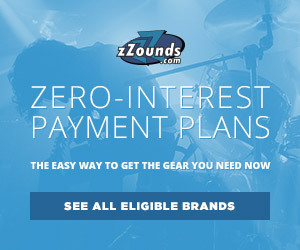 Pre-Order the Korg Monologue at zZounds Today!